Running from his frustrating life, Chad loses his way on Christmas Eve and soon stumbles on the remote town of Piney Meadows. 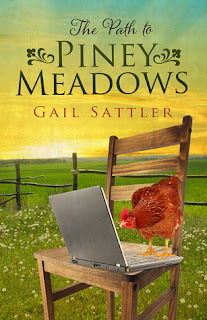 Before long, he falls in love with the people of the Old Order Mennonite community, accepts a job, and settles into the area. He is touched by the good people and their strong faith, even though he still has a lingering dispute with God. Most of all, he is fond of Anna. The more he gets to know her, the more he falls in love with her. 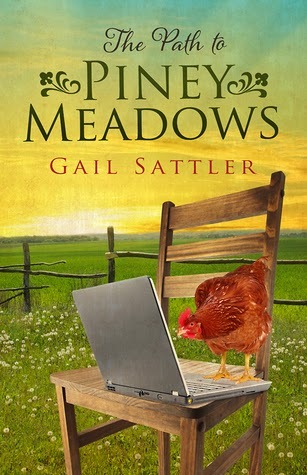 But Anna is not happy in Piney Meadows. The Mennonite community is changing, but it’s not changing fast enough for her. She longs to move to Minneapolis to get a job, make her way in the world, and find herself. Chad doesn’t want her to go, but if he loves her, how can he make her stay? Tired of the rat race, Chad ends up in a small Mennonite community. I live in a Mennonite community, though we are not Mennonite ourselves. We have spent time with them and I always am comparing the communities in the book, to the community near me. The community in the book allows musical instruments and drama which mine here doesn't. They also use the internet and computers which is not allowed in our area. I find the differences fun to comment on. Their lives are still very simple, and remote from the world. Anna finds she would prefer the city, but she has never lived there as Chad has. It is neat to see a city boy come to live in a Mennonite community. His relationship with his chickens is quirky and fun! This is a pretty slow paced book, and really quite predictable. Sometimes it is nice to read a book that you hope will go in a positive way, with no bad things happening. This is the book for that. A great holiday read. Chad does have a big secret that he struggles with and once he tells the community, some of them struggle with it as well. This sounds like a very interesting book. I like the story and that its setting is in the Mennonite Community. The Mennonite's are very interesting people in that they live a simple life of faith which I think is admirable. I like this book, I would read it.